As of December 2017, I assumed the position of president of the Society for Bioacoustics subsequent to the former president Hiroshi Riquimaroux. The vice-president Ikuo Matsuo, nine trustees, one inspector and I will perform activities together to develop the society. I deeply appreciate the continuing support from members of the society. Bioacoustics is an interdisciplinary field of Biology and Acoustics, including Physiology, Physics and Engineering of sounds and vibrations. It covers terrestrial and aquatic organisms: mammals, birds, reptiles, amphibians, fish and insects. Since its foundation in 2014, four annual meetings of the society have been held in Kitakomatsu, Fukuoka, Irago and Chofu in Japan. In the past meetings, there were English presentations with discussions, wherein awards were granted to excellent presentations by students and young researchers. 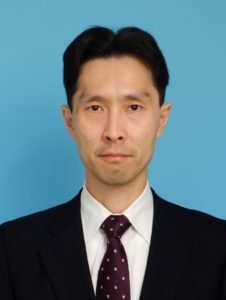 The 5th meeting will be held in Kumamoto (Chair: Wen-Jie Song) on December 8-9, 2018, and the 6th meeting will be held in Tsukuba in November 2019 (Chair: Takuma Takanashi). You are cordially invited to the meetings. Next, we will prepare the publication of “the Japanese Encyclopedia of Bioacoustics” from Asakura Publishing Co., Ltd. It consists of 200 articles ranging from the basics of Bioacoustics to comparative approaches in various organisms. As for different activities, the awardees of the Society for Bioacoustics will have presentations at the Auditory Research Meeting in June 2018, which is co-sponsored by the society. also we plan to arrange symposia in addition to the annual meetings. Lastly, we will transmit information about our actives and enhance communications among members via our website. I look forward to your participation in and support of the society.